Your one stop for regattas, safety inspection, handicaps, rules and all things racing. 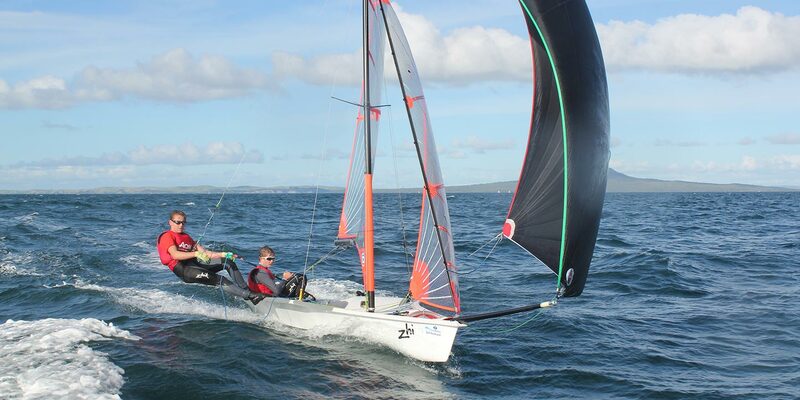 Yachting New Zealand is the governing body for yacht racing in New Zealand. We provide support and a pathway for developing sailors from junior to elite level, and their coaches that guide them through the process. Our role in this includes the administration of the Racing Rules of Sailing and ensuring the quality of races and regattas, including national and international championships and offshore events. Yachting New Zealand administer the national handicapping systems and maintain the country’s register of keelboats, trailer yachts and multi-hulls. Find upcoming regattas and races around the country. This page is where you will find all the information you need about each handicap and how to apply for one for your boat. Yacht racing is governed by a number of rules. Here's what you need to know as well as a host of resources. Change the ownership details of a boat or register a new one here. This page contains information for sailors with a disability who are competing at national level and higher. Yachting New Zealand carry out inspections and issues category 3, 2 and 1 certificates for racing yachts. These regulations are applicable to racing yachts and to New Zealand-registered cruising vessels leaving New Zealand. Aon New Zealand have developed a package of insurance policies specifically for sailors, whether it is locally or travelling overseas. Yachting has a proud history in New Zealand, with multiple Olympic and world champions and others who have made an impact on the sport both here and abroad.